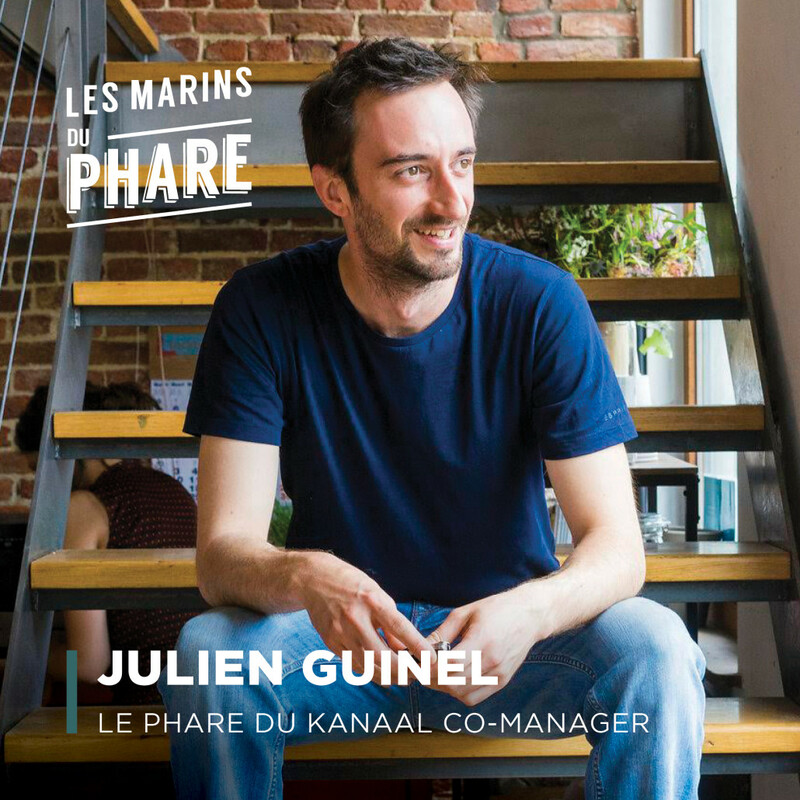 My name is Julien Guinel, I am Le Phare du Kanaal co-manager. I am from France and I live in Brussels for 9 years now. I studied Education and Communication but quickly I started being interested in cooking and more seriously 3 years ago when I met Hanna, my great business partner! What are you doing at Le Phare? I create recipes and cook all pies, cakes and other sweets you will find in Le Phare du Kanaal. I am also in charge of Le Phare’s canteen strategy: of the coherence between our menu and our values. I am trying my best to develop a sustainable vision in term of economy and ecological policy. Finding good suppliers is not an easy task but I really enjoy meeting farmers, passionate people or future partner, who wants to make a difference, in all the countryside of Belgium ! Mainly lying down under the sun… when there is sun! I love thinking and finding new ideas of recipes. Simply enjoying life, listening good vinyl’s and swimming are also part of my hobbies to enjoy my free time. “Champions keep playing until they get it right” by tennis woman Billie Jean King same thing for Chef and cooking! What I really appreciate with my job is that every day is different than another. I always meet new clients, new co-workers and enjoy seeing familiar faces. Le Phare is like a home, a refuge.. you always feel cozy and welcoming. We all find our own place here whatever if we work, study or just enjoying pie and find always a way to connect to each other. It’s also what co-working means to me. To contact Julien: julien@lepharedukanaal.com or in Le Phare’s kitchen of course ! Share the post "Julien Guinel"